A banned driver reached speeds of more than 100mph during a police chase with his heavily pregnant girlfriend sat beside him after she went into labour. A court heard Kyle Stogden also went through red lights and mounted grass verges in a bid to escape officers during the high speed pursuit. Stogden, 21, eventually abandoned the vehicle and ran off, leaving his partner in a “hysterical” state. Police officers called an ambulance for the young woman. She was rushed to hospital and give birth to the child by emergency caesarian section later the same day. Leeds Crown Court heard West Yorkshire Police signalled for Stogden to pull over on the hard shoulder of the M621 near Morley. Stogden sped off in the VW Golf and reached 122 mph as he headed towards Leeds city centre. He then left the motorway, went through red lights and mounted a grass verge to overtake stationary vehicles as he approached Armley Gyratory. Stogden then drove at more than double the 40mph speed limit along Stanningley Bypass, causing the vehicle to swerve as he drove on the wrong side of the road to avoid traffic islands. He eventually abandoned the car in behind a takeaway restaurant in Armley and climbed over a wall. Stogden, of Birkdale Drive, Moortown, was arrested and told officers he had panicked when saw police because he was disqualified from driving. He said he had driven the vehicle because his girlfriend had gone into labour and he needed to get to Leeds General Infirmary. 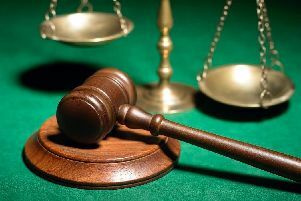 He pleaded guilty to dangerous driving, driving while disqualified and having no insurance. Stogden has previous convictions for drink driving and was the subject of a suspended prison sentence at the time of the incident. A probation officer told the court that Stogden’s partner had given birth on the day of the incident and the baby was now six weeks old. The officer added that Stogden had been complying with his suspended sentence order, imposed in April, and had been completing unpaid work. Stogden was given a further suspended sentence of six months, suspended for two years. He was banned from driving for two years.